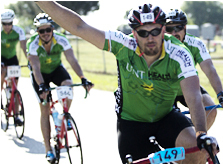 Bike MS: Breakaway to the Beach 2013 is a ride that will take you farther than you’ve ever gone before. What makes this ride so special? There are multiple route options, all of which are well supported with fully-stocked rest stops every 10-15 miles, a great lunch stop each day and safety provided by medical personnel, HAM radio operators, law enforcement and motorcycle escorts. Once you've gotten your miles in, you can celebrate with your teammates, friends and family in our vibrant and scenic waterfront Team Village and Start/Finish Festival area! Stay up to date on the ride with news & FAQs, lodging & transportation, training & safety, route maps and more. Boost your fundraising with tips & tools, social fundraising, matching gifts, awards and incentives. Fuel your team spirit! See rankings and resources for Teams and National Teams. Stay informed, browse event gear in the Bike MS Store, event sponsors and special offers. 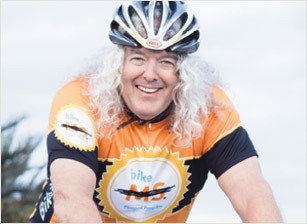 In 2014, Bruce "Slowride" Reid of Ponte Vedra Beach, FL completed his 50th Bike MS—tackling all 50 states along the way. 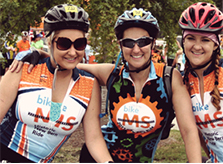 See why Bike MS is more than just a ride! 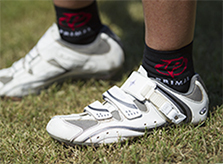 The Bike MS series is the largest fundraising bike event in the world. 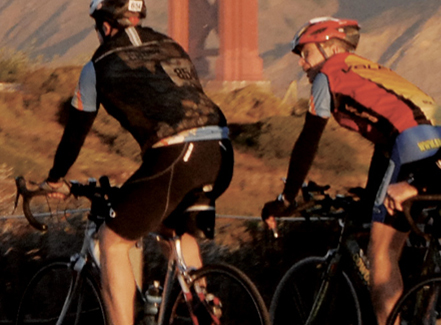 With Bike MS rides across the country, anyone, anywhere, can fuel progress. 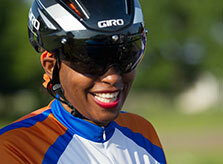 Each year, 7,500 teams and 100,000 cyclists choose Bike MS.